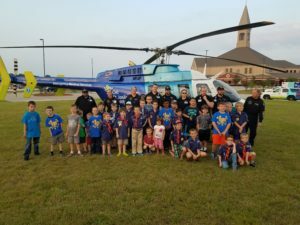 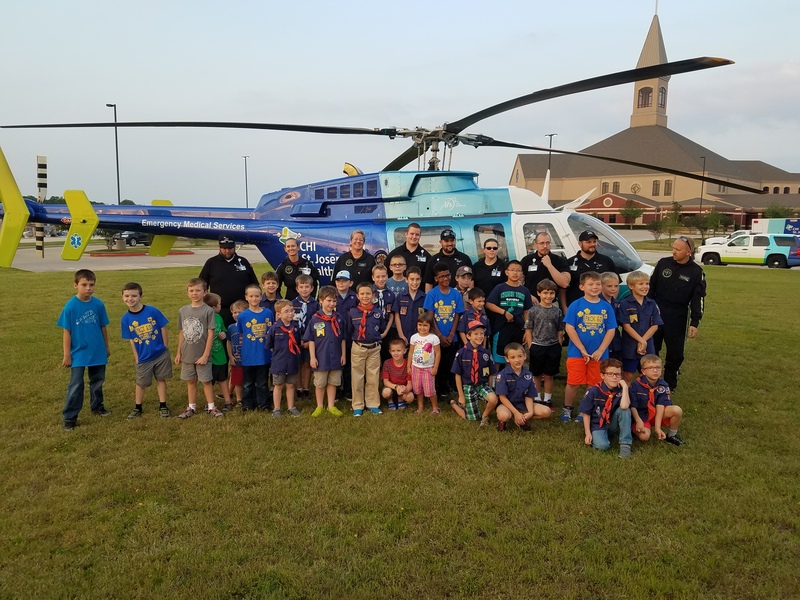 Helicopter at Pack 60 meeting! 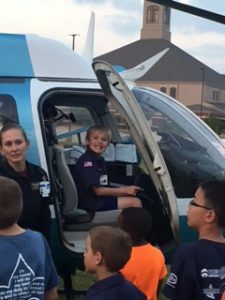 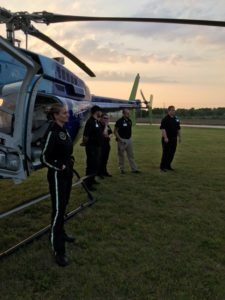 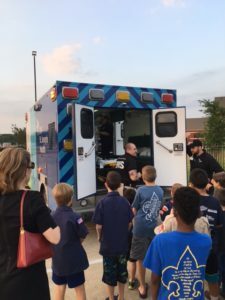 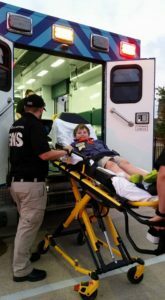 On Monday March 27th the generous folks at CHI St.Joseph arranged to have one of their emergency response helicopters as well as an ambulance present at the pack meeting for the scouts see. 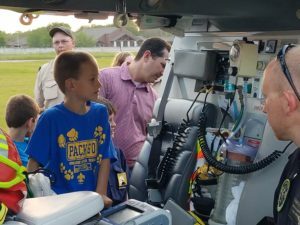 The scouts learned about some of the equipment and procedures that the paramedics use in the air and on the ground.